This site may be linked to other Internet sites; these sites are not controlled by RivieraMayaGolfCourses.info, so we inform you that RivieraMayaGolfCourses.info is not responsible for any of the information contained in such websites. The existence of such links does not imply any support by RivieraMayaGolfCourses.info, or any association with its operators. In addition, RivieraMayaGolfCourses.info is not responsible for any of the websites’ aforementioned privacy practices. RivieraMayaGolfCourses.info is obligated to abide by every applicable privacy law and regulation regarding its users’ personal information. 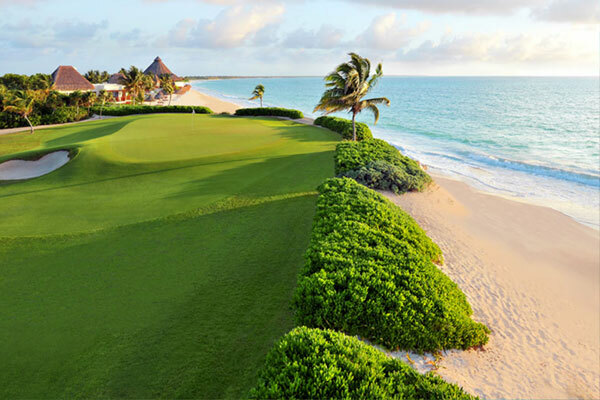 In addition, RivieraMayaGolfCourses.info follows the industry’s standards on the confidentiality of its users’ personal information, including additional measures such as Secure Socket Layers (“SSL”). RivieraMayaGolfCourses.info considers its users’ personal data as an asset that must be protected from any loss or unauthorized accesses. We use several security techniques in order to provide our users a safe access against non-authorized users. H. Commercial brands. The name “Aventuras Unicas S.A. de C.V.” & “RivieraMayaGolfCourses.info” as well as each of its logos, are commercial brands with all rights reserved. Every other commercial brand that may appear in the website is either self-owned, or has granted the appropriate licensing for its use.